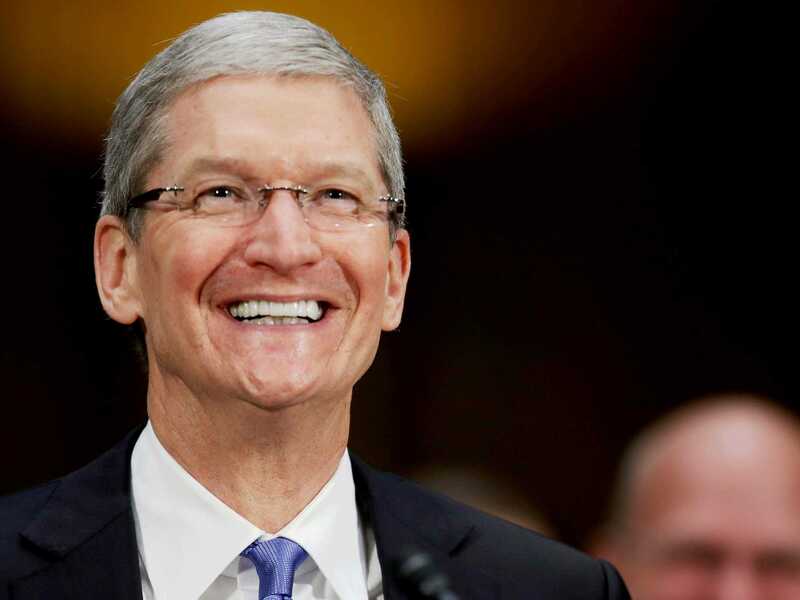 Apple CEO Tim Cook's emails have been turned over in one of the iMessage cases. Apple won a significant legal victory yesterday in a lawsuit brought against the company by former iPhone users who claim they can no longer receive texts from other iPhone users. A federal judge declined to grant the suit "class action" status, meaning that all former iPhone customers who switched to Android won't be automatically regarded as plaintiffs in the suit. The lawsuit will proceed with only the individual named plaintiffs. That will likely severely curtail the price of any potential damages that Apple might have to pay. Download a copy of the ruling here (PDF). The plaintiff, Adrienne Moore, is a former Apple customer who says that Apple's iMessage system prevented text messages sent from iPhones from being delivered to her new Android phone. The specific flaw in iMessage was that once a phone number was registered as an iPhone number via Apple's iCloud system, then messages were not delivered if the phone was not attached to iCloud. Android phones, of course, can't connect to iCloud. It is possible to transfer a phone number from an iPhone to an Android, but as many customers found to their cost, you could only do that successfully by following this multi-step, 45-day-long procedure. The judge ruled that the class action claim was "overbroad" because not all class members were affected in the same way. They had different contracts with their wireless providers for instance, and there may be different technical reasons why texts don't get delivered. However, the Court finds that Plaintiff has put forth evidence of injury-in-fact. More specifically, Plaintiff has submitted exhibits and responses to interrogatories indicating that current Apple device users using iMessage sent Plaintiff text messages that Plaintiff did not receive on her non-Apple device. ... As to causation, the Court finds that Plaintiff has sufficiently put forth evidentiary support that her undelivered text messages are fairly traceable to Defendant’s alleged wrongful conduct. 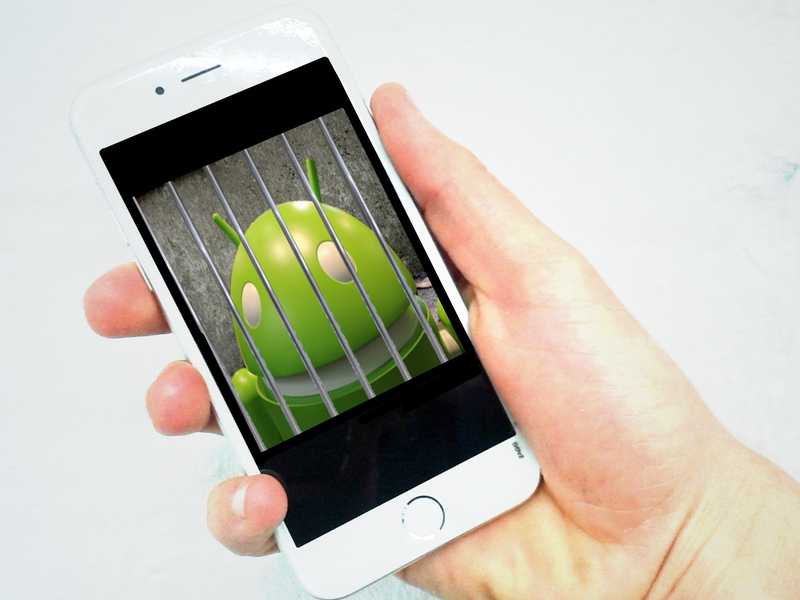 Separately, Google and AT&T both recently filed motions in a related US federal lawsuit that alleges Apple wire-tapped users who ditched their iPhones for Android phones. In that case, former iPhone user Adam Backhaut, like Moore, says Apple's iMessage system prevented text messages sent from iPhones from being delivered to Android phones if the phone number had previously been used for an iPhone. 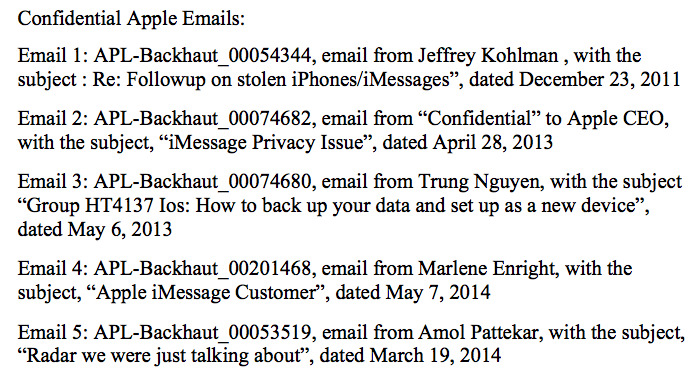 Backhaut claims that iPhone texts are "illegally intercepted and interned by Apple" when sent to Android users. The "intercepted" messages are held indefinitely, the suit claims, and that allegedly counts as "unauthorized access" to a computer system and a violation of both the Stored Communications Act and the Federal Wire Tap Act. The entry of the two companies into the lawsuit will be interesting because it raises the possibility that both of them will get a look at some of Apple's internal communications and documents regarding a three-year-long technical fiasco in which iPhones could not reliably send text messages to Android phones. Apple finally fixed the problem earlier this year. Apple has argued that the lawsuits should be thrown out. Apple can’t wire tap its own facilities, the company's lawyers have argued. Users authorise and consent to Apple accessing their iMessages, and because Apple acted in good faith and without the necessary intent to literally spy on texts to Android customers, there is no case, the company has said in court. Google and AT&T have both filed motions requesting that material they disclose in the lawsuit's "discovery" phase will be kept confidential, under seal. So we won't know exactly what they're telling Apple or the plaintiffs, or what Google and AT&T will learn from Apple, if anything. Google, naturally, will be curious to know what Apple's employees knew about the way iMessage hobbled text-delivery to Android, and how fast Apple moved to fix it. AT&T's appearance in the case is also interesting because former AT&T and Apple employees have told Business Insider in emails that they lost sales on Android phones because of the issue. Customers would return new Androids to the store when they discovered they weren't receiving texts, and swap them for iPhones. Apple has requested — and been granted — permission to conduct much of the litigation in secrecy. So we don't know how much of Apple's internal information will ever see the light of day. However, one filing in the case requests that certain internal emails remain confidential, including one addressed to CEO Tim Cook on April 28, 2013. The email has been sealed. Other papers indicate that several Apple employees have been required to write affidavits about what they knew, or been questioned in depositions. Those employees include Justin Wood (an engineering manager), Andre Boule (software engineer) Gokul Thirumalai (engineering manager), Amol Pattekar (an engineer), Bill Heilman (senior director, AppleCare engineering & enterprise support), John Kelly (manager of wireless diagnostics) and Jeffrey Kehlmann and Laura Heckman, whose roles at Apple are unclear. The fact that so many of those job titles are in software or engineering suggests that the litigation is focusing in part on exactly how iMessage handled texts that were not being delivered to Android phones. Below, we have collected a few highlights from the case, which give you a taste of just how far Apple has gone to make sure no one sees what is going on in the case. Lawyers are already getting their hands on Apple's internal emails regarding the iMessage issue, including one addressed to CEO Tim Cook. Here are the types of things that Apple wants to keep secret. 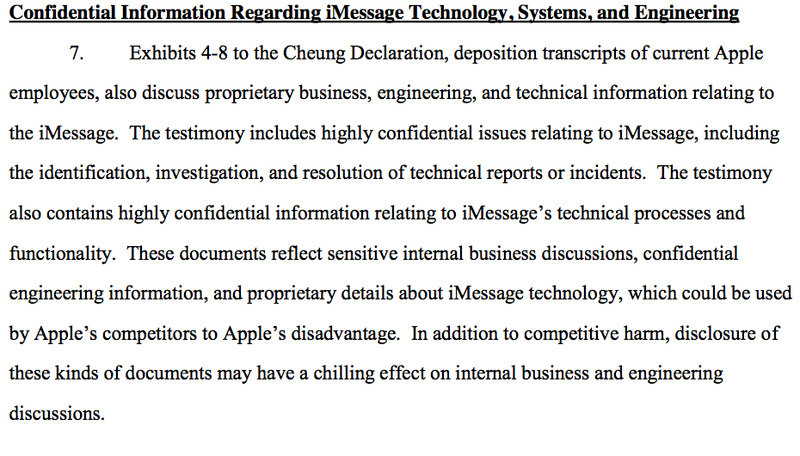 Note that Apple admits that there was something wrong with iMessage that required "investigation" and "resolution." Here, Apple admits that deregistering your phone number from iMessage takes 45 days. Apple has vigorously denied the claims. But as this excerpt shows, it is so concerned over the company's secrecy that it has redacted its own arguments against the case. 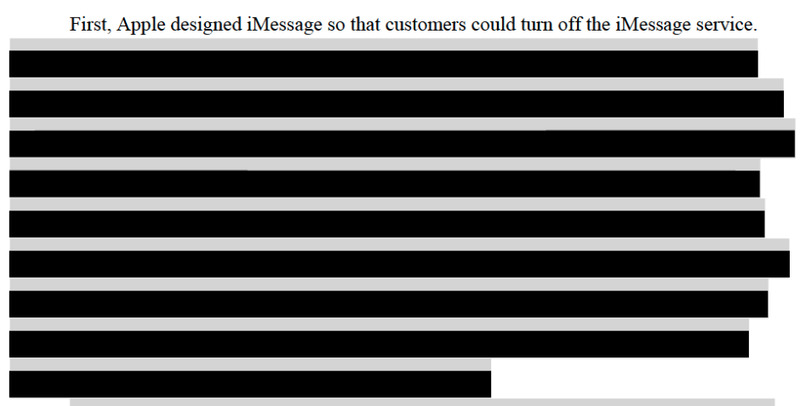 Apple doesn't even want you to know what it did to fix the problem — even though these "deregistration" problems were targeted at customers who couldn't receive iMessages. Yes, you can turn off iMessage. But Apple doesn't want you to know how that's done or why you might want to do it.